The first thing that comes to my mind whenever I hear the word Talakadu is the above curse, which translates to May Malangi turn into a whirlpool, Talakadu turn into a barren expanse of sand and the kings of Mysuru not beget an heir. History has it that after Wodeyars of Mysuru conquered Srirangapatna, the viceroy of Vijayanagar Empire, Srirangaraya and his wife Alamelamma retired to Talakadu. Raja Wodeyar was desirous of possessing Alamelamma’s jewels and levied an army against her when he was unable to obtain them. Apparently, Alamelamma uttered the curse before throwing her jewelry into river Cauvery and drown herself when the king’s soldiers tried to capture her. River Cauvery changes its course near Malangi, which might have resulted in the accumulation of sand and whirlpool produced by the meeting of opposing currents. This gives a scientific reasoning to the first two parts of the three-fold curse. But, to this day the kings of Mysuru haven’t had a rightful heir. This linked to an apparent curse, defies logic. My colleagues and I were looking for places around Bengaluru for a day trip and zeroed in on Talakadu. Though I have been to Talakadu on school trips, I only had a faint recollection of the place and was excited to revisit and make some new memories. 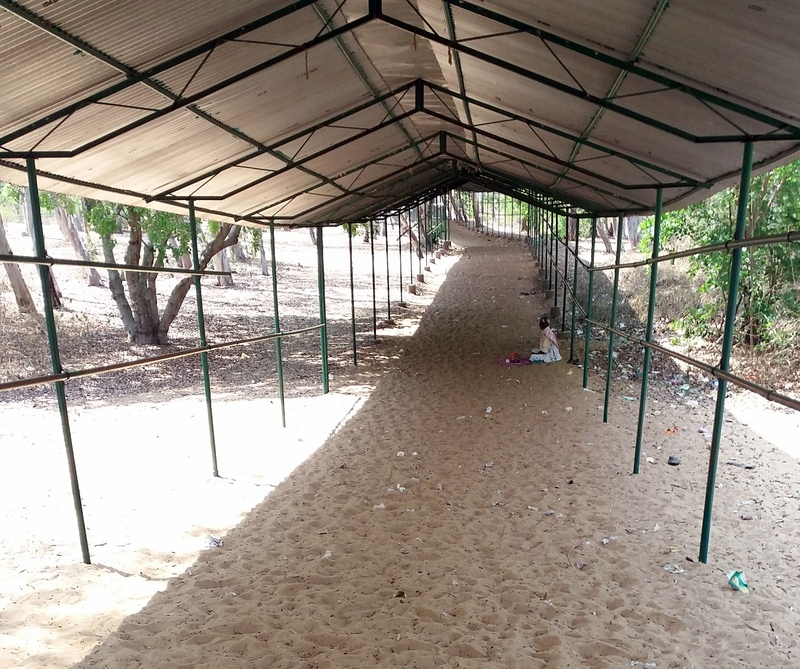 An hour and a half drive from Bengaluru via Kanakapura took us to Talakadu, the desert-like town on the banks of the river Cauvery. Talakadu has many temples, most of which are buried in the sand and few are excavated. Vydyanatheshwara, Maraleshwara, Bhogeshwara, Chowdeshwari temples were the few we visited. Restoration of Keerthi Narayana temple, dedicated to Lord Vishnu was underway. 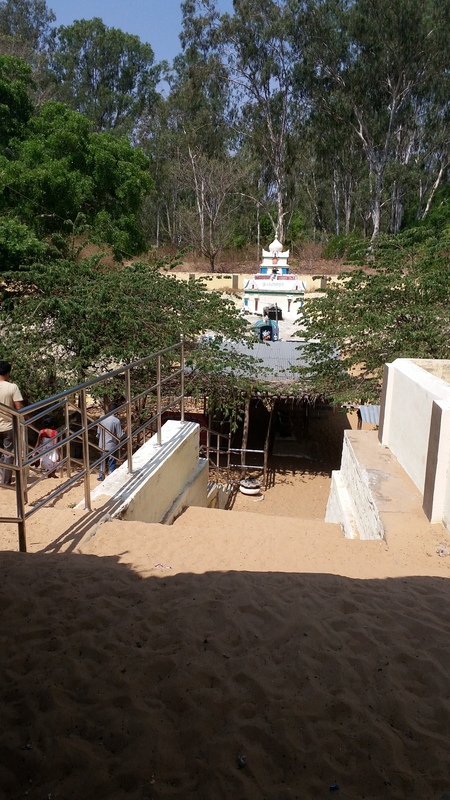 We were told that the Linga in the sanctum sanctorum of Maraleshwara gets buried in sand and there are dedicated workers to clear off the sand making sure the idol is not damaged during the process. We were also told by the locals that there are many small idols submerged in the sand and despite their painstaking effort, many get damaged and discarded as according to Hindu customs, an idol which is damaged is deprived of worship. After a quick visit to temples we went to the river for coracle ride, the best part of the trip in my opinion . Water was not very deep as it wasn’t the rainy season. Our boatmen even showed us where the famous Malangi Madu was, from a distance. After a good one hour’s time in the waters and some refreshments and lunch we headed towards Mudukuthore. 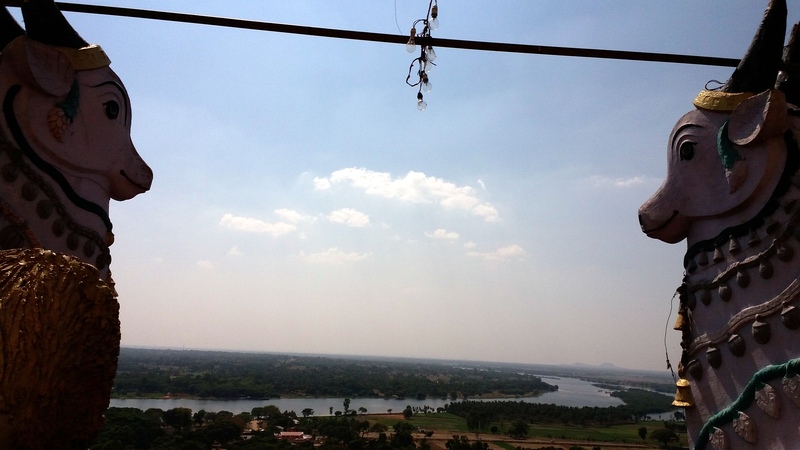 Mudukuthore gets its name as river Cauvery takes a turn/ diversion. Muduku is Kannada means diversion and thore means river. Legend has it that the Arjuna, one of the Pandavas worshipped Lord Shiva with Mallika flowers during his stay in Mudukuthore and that’s how the presiding deity got the name Mallikarjuna. Our one last stop before heading back to Bengaluru was Muttatti. There’s a temple devoted to Hanuman on the banks of the river Cauvery. Fast flowing river with powerful whirlpool makes it a dangerous place. Selling and consumption of liquor is banned here. Forest department frisk each and every vehicle at the check-post. This is mainly practiced as a cleaning-up exercise to preserve wildlife and to prevent drowning incidents. Many have drowned in the river near Muttatti and it is reported that most of the victims were in inebriated condition when they drowned. One can still see that the menace of tourists throwing empty cans and bottles has not stopped. We should make sure we do not litter, spit or urinate in public. If one tackles all issues judiciously there is no reason why our country cannot be clean. Talakadu was a welcome break. Hope to explore many more exciting places in my own state, Karnataka as our tourism board rightly says – ‘One State. Many Worlds’. Thanks for reading my post. Cheerio until next time!